It’s gotten harder to read when reading is work. I read my magazines for pleasure but also to think of new ideas to pitch to them. I read memoirs for pleasure but also to help me figure out how to write mine. I read books about writing because I love to write but again, it’s all work. So I’ve taken to decompressing by reading anything and everything fiction that doesn’t fall into the realm of work. Though, honestly, I had to put one book down for a second when I started to think, hey, maybe I should write a vampire novel. I just finished Dirty Girls on Top by Alisa Valdes-Rodriguez. It’s a follow-up to The Dirty Girls Social Club, which peaked my interest because it starred an all Latina cast. I’ve picked up some of Valdes-Rodriguez’s books since them but haven’t enjoyed them as much as her first novel. Reading Dirty Girls on Top wasn’t very pleasant for the first couple of pages when one of the character, Usnavys, narrates us through the first time she cheats on her husband. I survived those tortured scenes by force of sheer will. I’ve rarely, if ever, put a book down once I start it. Luckily, the book is narrated from the perspective of all the sucias (dirty girls) who became friends in college and are riding out the drama of their 30s together. It was pretty good chick lit and I like the Spanish peppered here and there. I wish I could wield that device so well and so saucily. But seriously, lugging around Dirty Girls on Top in your purse and hiding it from prying eyes when you’re a future rabbi’s wife is certainly a tough job. 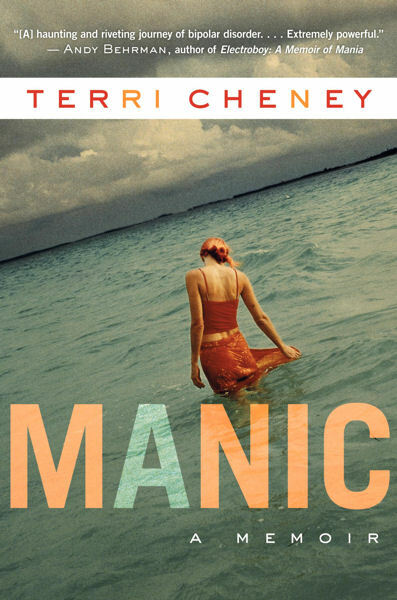 Manic is another book I had to plow through in the beginning. It is Terri Cheney’s memoir on living with bipolar disorder. I’ve also read the memoir, Detour: My Bipolar Roadtrip in 4-D by Lizzie Simon which I literally couldn’t put down once I started. The narrator was very engaging and I would have followed her anywhere. I’m currently reading something lighter, a laugh-out-loud vampire comedy Undead and Unworthy. It’s part of a series by MaryJanice Davidson. I can always count on her for rapid-fire intensely funny dialogue that knocks me off my feet. It’s hard to fall asleep reading it since I find myself giggling really hard. Next, I’m reading A People Divided: Judaism in Contemporary America. Previous Post It’s a pain in the…everywhere!